Hello Ello: Interview with R.L. LaFevers - Creator of the Great Theodosia! Interview with R.L. LaFevers - Creator of the Great Theodosia! Hi everyone! It's me, Summer, or Oldest as my Mom likes to call me. It's been a long time since I got to do an interview for my Mom's blog. I've been bugging her about letting me do another one, but she'd say ok, and then she'd forget. Like all the time. But I am good at reminding people about things. Especially when I really want it. Mom calls it nagging, but I object to that word. But she finally asked if I wanted to do an interview and with who. Well, not that long ago, Mom won an ARC for THEODOSIA AND THE EYES OF HORUS, and when I saw that Ms. LaFevers signed it for my Mom, I was jealous. I was the one that read both Theodosia and the Serpents of Chaos as well as Theodosia and the Staff of Osiris. I was the one that loved Theodosia! How come she got the signed copy? So I made Mom feel guilty and asked her if I could do an author interview with Ms. LaFevers because as you can tell, I LOVE the Theodosia books. Why? Cause they're awesome and different. Ms. LaFevers writes about Egyptian mythology which is super cool cause it's got curses, mummies, magic and dead people! So cool! 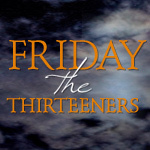 So here is a super awesome interview with the author of the Theodosia series, Ms. R.L. LaFevers! Summer: Hi Ms. LaFevers! Thank you so much for letting me interview you. My first question is why did you use Egyptian mythology instead of Greek Mythology? R.L. LaFevers: Thanks so much for letting me visit your blog, Summer. When it was time to begin a new book, I knew I wanted it to have a fantasy element that I hadn’t seen in a lot of other books. Personally, I love all sorts of fantasy elements—dragons, wizards, witches, Greek mythology, Roman mythology, werewolves, and vampires—but I wanted my book to use something a little different, a little unique. So I cast my mind back to when I was eleven and really tried to remember what sorts of things fascinated me and weren’t already being used by other authors. The magic of ancient Egypt was the first thing on that list. Summer: What inspired you to write these books? R.L. LaFevers: I really wanted to write a big action adventure fantasy that starred a GIRL front and center. I didn’t want her to be the main character’s best friend, or sister, I wanted her to BE the main character. Summer: I like how Theodosia is very responsible and kind and brave, what gave you the idea of her and the other characters? Does Theodosia, the character relate to you in any way? R.L. LaFevers: Oh I’m so glad you thought Theodosia was kind! I think of her as slightly socially awkward since she’s been around so few other kids, but with a great big heart that wants to do the right thing and be nice to people. The brave part just happens; since she’s the only person who can see the curses and magic, to her it makes sense that she is the one who has to deal with them. I wanted to write a character with both strengths and weaknesses, and then I wanted to show how sometimes, it is our very weaknesses that can end up being our strengths. So while Theo gets in trouble from her parents for being too sensitive or having too much imagination, it is also the very thing that allows her to save the day. I think that happens a lot in real life, actually, our weaknesses can sometimes end up being our best qualities, if we learn how to manage them. There is a lot of me in Theodosia, although I didn’t plan it that way. That sort of just happens sometimes. I, too, was hyper sensitive as a kid, always sensing things the adults around me didn’t seem to notice. I was also very responsible. My parents were divorced and I had a lot of brothers (at one time, I had seven!) so I ended up being a sort of second parent to a lot of them, and I helped my mother take care of things. Plus, with so many kids and so much to juggle, my mother was preoccupied a lot of the time, so I knew what it was like to have preoccupied parents. Summer: My Mom says I am very responsible also! I help a lot with my little sisters, although they don't always appreciate me. You say that there is a lot of you in Theodosia. So would you be like Theodosia if you switched places with her? R.L. LaFevers: Absolutely. Although she might be a teensy bit braver than I am. And since I’ve had so many more brothers than she has, AND I had two sons, I would probably be a little more understanding of Henry. Summer: Why did you choose the 1800’s time period and the setting of England? R.L. LaFevers: Oo! Good question. Because the book was going to concentrate on Egyptian magic and ancient artifacts, I wanted to set the book during the heyday of Egyptology—which was the late 1800’s and early 1900’s. That was also a time when there were a lot of secret societies scuttling about, trying to learn all they could about ancient mysteries. Since the Theodosia books involved both, it seemed the logical choice. As for England, well, I wanted to model the Museum of Legends and Antiquities on the British Museum, plus many of the great finds in Egyptology were being made by the British—or at least some of the more notorious ones. Also, England itself has an awful lot of Egyptian artifacts that have been brought over from Egypt over the centuries, like Cleopatra’s Needle, for example. It made sense that if there was going to be an organization like the Brotherhood of the Chosen Keepers whose mission was to keep an eye on cursed artifacts, they would be centered where so many of the artifacts ended up: London. Summer: Well I especially liked how Awi Bubu had magical Egyptian powers. It was so cool! What inspired you to make his character? R.L. LaFevers: I began realizing that since I had all this Egyptian magic in the books, and people using ancient Egyptian magic, that I needed to include those who had never stopped using it in the first place! A very secretive, elusive cadre of Egyptians who’d never let the ancient wisdom and practices die out. I also needed him to be in London, where Theo could run into him. So I brainstormed from there, playing with different scenarios that would bring that bring someone with his particular skill set and background to London. Plus there had to be someone in the books who knew more than Theodosia did! Summer: When I am writing, I have a hard time coming up with names myself for my characters. But you have great names in your books. Snuffles, Fagenbush, Kimosiri, Awi Bubu. How did you come up with them? R.L. LaFevers: I’m so glad you like all the names! I actually collect names, from real life, from books I read, from the credits on TV. I have notebooks and notebooks full of names. I really like the name to serve the story—not just be something to call a character. I think names can do a good job of hinting at the character’s personality, or being something they have to overcome, or something they will never live up to. Names are a lot of fun. Theodosia’s last name was originally going to be Wicketts. As you know, oftentimes the only thing she can find to eat are jam sandwiches, so I thought I could do a fun riff on Sticky Wicketts, an old British saying. However, that quickly grew too heavy handed and cumbersome, so I tossed the idea out. Awi Bubu is a combination of a couple of real Egyptian names I found in my research. Awi mean glory and Bubu means to shed light. It’s a bit of a hint, really. Summer: So did you do a lot of research? What is your research process like? Do you use the public library and the internet? Do you like research? R.L. LaFevers: I pretty much adore research. I have ever since I was little. I love walking into libraries and museums and feeling all that ancient knowledge sitting on the shelves, right at my fingertips. My actual research process is kind of all over the place. I do some background research first, the stuff I’ll need to know to understand what sort of setting I’ll be creating for the book, what the constraints are, how it differs from our world, that sort of thing. Since I’d never been to London, I needed to study that city and look at pictures and maps—but not just today’s pictures and maps, but those of a hundred years ago. The internet proved invaluable! After I understood the historical time and place, the next thing I needed to do was to build Theo’s museum in my mind, and for that I used the internet to find all sorts of historical information, illustrations, and photographs of the British Museum. Again, the internet was a life saver! I found pictures of old buildings, Edwardian street scenes that showed early automobiles sharing the road with horses and buggies, old clothing, alleyways. I also had to research ancient Egypt, archaeology, Egyptian funerary practices, mummies, mummification, ancient Egyptian magic rituals, secret societies. The list goes on and on! If it’s in the Theo books, I researched it in some way! Summer: You're just like my Mom! She's always doing research also. She says research is so important for a writer, but I always thought she was just tricking me to study or something. But research into Egyptian mythology would be pretty cool. Especially the curses. So, do you think curses are real? R.L. LaFevers: Oh wow, tough question! Let me see. I think negative energy is very real, whether its wishing someone harm or putting hate into the world. Our brains are so vastly complex and little understood. A large part of our brain is busy doing things we aren’t even aware of, and if we put out negative energy or walk through a cloud of it, it seems possible to me that it could affect the unconscious part of our brains. Also, Carl Jung talked about the universal unconscious, which is basically the part of our mind that sees and perceives things our conscious minds aren’t even aware of. I can’t help but wonder if that is in some way tied to curses and negative energy. 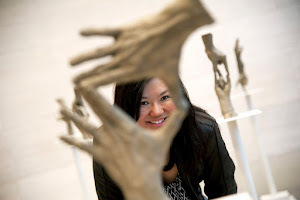 I do know that when I have been near some ancient artifacts, they have a different feel to them than something new. Whether it is just a patina of all those who have ever held or used the artifact, or my own vivid imagination, I will probably never know. Do you think curses are real? So what advice do you have for me if I want to be a writer? R.L. LaFevers: If you want to be a writer, you really need to do two things: Read and write. It really can be that simple. Although I’m guessing you want something a little more detailed than that, so here you go. These are the six key things I think a person needs to do to be a good writer. Keep in mind, though, that these are just one person’s opinion. Persistence: Which is just a fancy word for stubbornness, you need to keep trying and keep learning and never give up. If you love something, and you never give up, you never fail. Even if you never get published, if you love writing and you make time to do it, you will have had the joy of writing. All the published writers I know are the people who simply never gave up. Live: In order to have things to write about, we need to embrace life. In order to write an interesting, rich, exciting story, we must have experienced some interesting, rich, exciting things. We must get out there and experience life, do stuff, make friends, perhaps an enemy or two (by accident, of course!) It’s okay to do these things badly, no one says you have to be great at everything you try. But do try stuff, collect experiences like you would sea shells or interesting rocks or Transformers. Respect your own creative process: The truth is, there are many different approaches to creativity. Each writer and artist and musician does things a little differently. And while it’s interesting to learn about new ways to try things, it’s also important to respect how YOU do it. So while it’s also okay to experiment with different approaches and processes, , especially when you’re just learning, don’t ever think your way isn’t as good as someone else’s. Be brave: The very best writers tell the TRUTH. It might be dressed up as a story, even a fantasy, but the best stories show us something that is TRUE. And it takes COURAGE to tell the truth. Not everyone likes to hear the truth. Sometimes saying what is true can get you in trouble or cause some people not to like you. But as writers we need to be brave enough to tell the truth. Be Passionate:. We must write about things that we care a LOT about. What are those things that are important to you? What moves you to tears? What makes you laugh? What makes you furious? What terrifies you? These are the things that you are passionate about and should be at the heart of your writing. But here’s something I truly believe: Our weaknesses are also our strengths. We just have to learn how to use them in the right way. One of our most important jobs in life is to embrace our quirks and our weaknesses and, even more important, learn how to turn them into strengths. Summer: Wow! That is awesome advice. Thanks for sharing that with me. And thanks for writing this awesome, super cool series that I want the whole world to read! R.L. LaFevers: Thank you so much for having me, Summer! And good luck with your own writing! Summer: So that's my awesome new interview and I have even more super cool news! I get to interview Ms. LaFevers again for The Enchanted Inkpot on June 9th for her the second book in her new series The Beastologist!!!! And she sent me both books and they were both signed to me!!! I am already reading the first book and it is awesomeness! Oh and lastly, my Mom said that I get to choose the winner of her gift basket prizes. And this is your last chance to win squid or seaweed or other weirdness. And if you leave a comment here, I get to include you for the raffle! So please leave a comment! I love reading comments. Bye for now! Wonderful interview. Summer's personality shines through beautifully. And Ms. LaFevers's advice for writers is priceless. Well done. Summer -- great interview! I've never heard of the Theodosia books, but I'm going to put the first one on my list to try. Thanks! Great interview, Summer! I love the idea of collecting interesting names and having lots of notebooks filled with them - I might have to give that technique a try! Wonderful interview, Summer! You asked a lot of insightful questions, and clearly inherited some of your mom's blog-writing skills. Thanks also to Ms. LaFever! 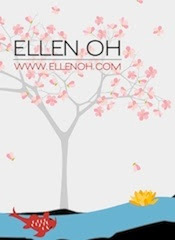 Not only is she wise, but generous, having recently done a giveaway for libraries on her blog--I was so happy when my son's library was one of the winners. Now another five hundred kids will be exposed to her wonderful books. Absolutely the most wonderful interview I have ever read.Period. Summer, your questions are fantastic and they really tapped into Ms. La Fevers creativity and wisdom. Summer - I think you are made of awesomeness! What a fabulous interview with Robin. 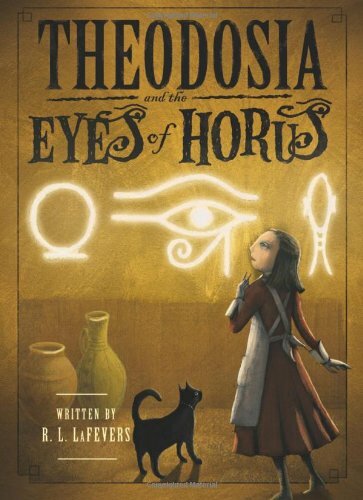 Theodosia sounds fascinating and I totally love Egyptian mythology so I am already hooked! And Robin - I loved your six key elements that all writers should have - I'm going to keep that list and remind myself when I need a pep talk! Great job! 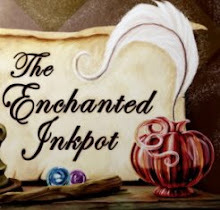 Can't wait for your interview over at the Enchanted Inkpot, Summer! Fantastic interview! Summer, you did a great job! I wish you all the best with your writing. My oldest loves the Theodosia books. And Robin simply rocks.